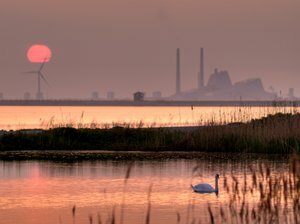 The combination of a powerplant, a windmill, a swan and a burning red sunset. The picture is HDR using 3 images. Great picture. I really love it.